For the past three and a half years I have been growing my hair. Okay, I understand that may seem like a strange thing to say as with each day that passes we are mostly all growing our hair. But I had a goal in mind. 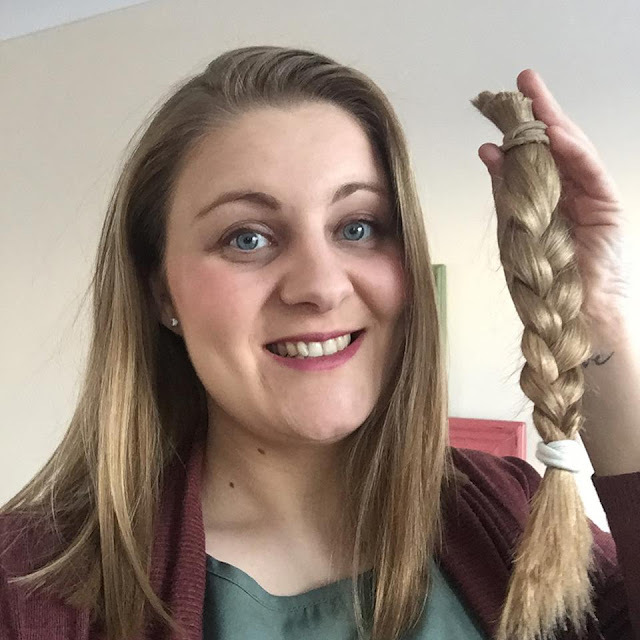 I was wanting to grow my hair long enough to allow me to eventually have it cut and then donate some to the Little Princess Trust Charity. The charity provide wigs to children who have lost their hair through illness or cancer treatment. Now if that is not a worthy cause then I don't really know what is. To try and even begin to imagine what these children and their families must be going through is just unimaginable, so to be able to give such a simple thing that to be honest is something that I just take for granted, really is quite heart warming and satisfying. 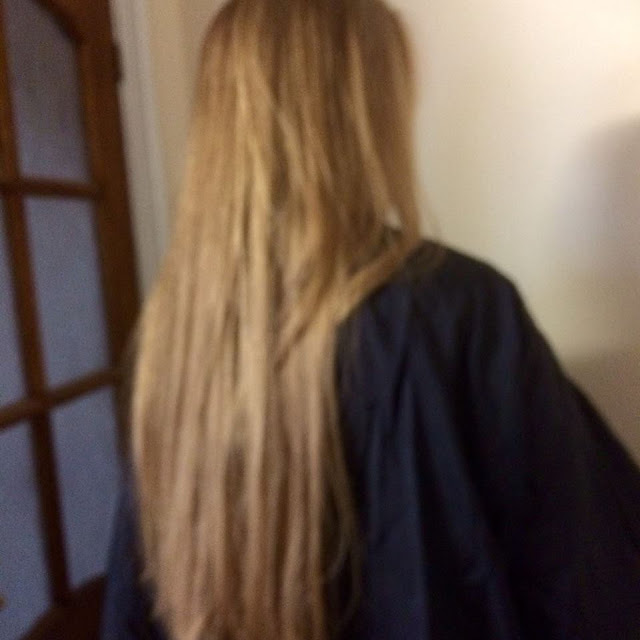 Sorry about the blurry photo, this is the best photo I have of before the cut. Yesterday the day arrived, it was time to put my words into action and go for the chop. I've always had long hair so I knew I needed to grow it pretty long in order to keep some length to it. I was able to keep the length to my shoulders and donate 11 inches which is more than I had initially intended and I am so pleased about that. They ask for a minimum of 7 inches. Lets face it, my hair will grow back, and I am very lucky to have the hair that I have still remaining. For many they are not so fortunate, so this really is nothing in the grand scheme of things. The other thing to add is that I am doing this by choice. I know that there are others out there who are loosing their hair though no choice of their own and it may seem like a very immaterial thing, but for them it isn't and I know for me it wouldn't be either. So if by doing this I am able to help one person then that is enough for me. 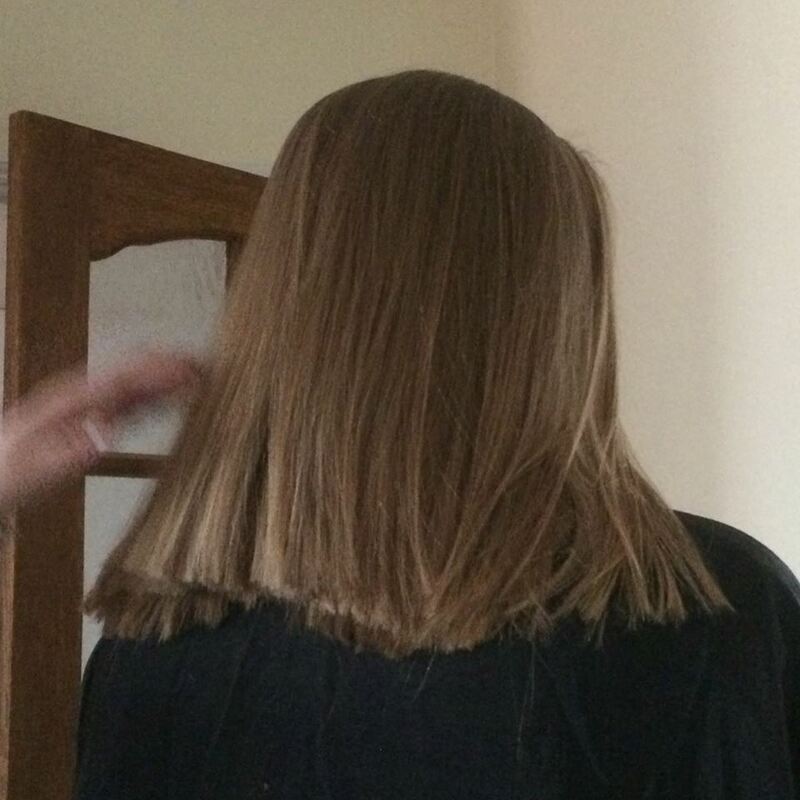 However, if by sharing my experience of cutting and donating my hair encourages others to do the same, well then that is just a pretty amazing thing. But please read the details on their website first as there are some details to be aware of before going and getting your hair cut. 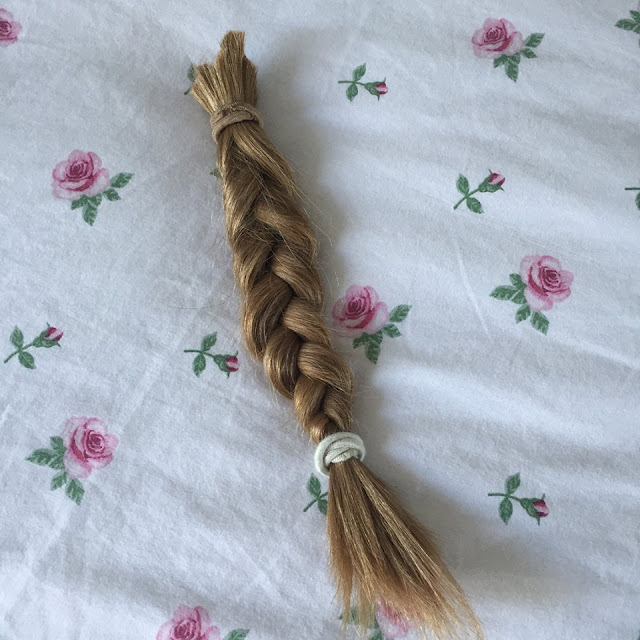 If anyone does decide to donate their hair or have already done so in the past then I'd love to hear from you. I find it so incredible to hear other peoples stories and if it can help to inspire others then it is all worth it. This is great! Cannot believe your hair was so long! My niece did this 2 years ago- she was only 6 and told my sister that she wanted to have her hair cut so she could give her hair to a little girl she knew who had cancer as she had heard about this charity and lo and behold, she did it! I still have a plait somewhere that my Mum made out of my hair she cut once. Wonder where it is? Wonder if it could be donated?